May 16, 2016 marks the 50th anniversary of China's Cultural Revolution which took place from May 1966 to October 1976. Chinese leader Mao Zedong consolidated his power by purging his political rivals and those favouring capitalism. The lack of a full public accounting means China is still haunted by that decade of extreme cruelty. Fifty years after the start of the "catastrophic decade", as the Chinese officially call the Cultural Revolution, that period of the Chinese people's immense cruelty towards each other still haunts many who have lived through it. It is not just the excessiveness of the period and the profoundness of its impact on the Chinese society that has cast this long shadow, but also that there has not been any meaningful catharsis. For one thing, there has never been a full public accounting of the atrocities that took place during that time so that, to this day, some of the perpetrators do not believe they did anything wrong. If anything, the government has urged the people to forget that tumultuous past, which it has characterised as a "leftist deviation", and to get on with their lives. At the end of the Cultural Revolution, criticism was allowed for a short period of time because there was a need to repudiate it, observers say. But since then, the government has largely suppressed debate on the period for fear that this undermines its legitimacy. For another, many of the Chinese who lived through it acquiesce with the official narrative and with the enforced silence because many of them were both perpetrators and victims. That silence is not just a public one, but also a private one. Psychoanalyst Tomas Plankers, in a recent interview, said this of a discussion he had with Chinese mental health professionals on the subject: "I asked them, 'Do you talk about this honestly in your own families? ', and silence fell." The 10 years of mayhem was unleashed by Mao Zedong to get rid of his rivals and to keep the revolution going by giving free rein to millions of young people known as the Red Guards to struggle against "counter-revolutionaries" - intellectuals, former landowners, officials, former merchants, rich peasants - and smash the four olds: old habits, culture, customs and ideas. He told them to "learn revolution by making revolution". While by 1968, the bands of Red Guards were being sent to the countryside - in the "up to the mountain and down to the village" movement - along with unemployed city youth, to live with and learn from the peasants, the revolution continued and spread to the provinces. It would not end till the death of Mao in September 1976. During that time, about 1.5 million people died and 36 million more suffered some form of political persecution. People turned against one another - students beat their teachers to death, friends betrayed each other and children sent their mothers and fathers to their executions. The essence of the Cultural Revolution is that "the Chinese, without direct orders, were so cruel to each other. They killed each other, fought each other and tortured each other. Mao did not go down the streets and say: 'You are licensed to torture. Go torture'. It just happened," said Professor Roderick MacFarquhar of Harvard University, an expert on the Cultural Revolution, at a recent interview. It was an extreme situation characterised by loss at many levels, China expert Anne Thurston of the Johns Hopkins University has written: "loss of culture and spiritual values, loss of status and honour, loss of career, loss of dignity" and loss of trust and predictability in human relations, as people turned against each other. What is left is the immense need to succeed. "They hope that with success they can protect themselves from the arbitrariness of the rulers. They strive like this to avoid becoming helpless objects," Dr Plankers told The New York Times. Without any sense of redress or justice, the healing has come only slowly. It is seen in the return, in pockets of Chinese society, of traditional value systems like Confucianism and of religion like Buddhism and Christianity, after decades of the relentless pursuit of wealth by all means, including foul ones such as the production and sale of fake drugs and fake formula milk. It is in the cathartic public confession of having done wrong, although this is still few and far between. Many prefer to see themselves as just victims. Hong Kong-based publisher Bao Pu told The New York Review Of Books that he had not published more Cultural Revolution memoirs because "they're not very interesting. Everyone feels he was a victim. If you look at them, you wonder, what the f*** were you doing in that situation? It was everyone else's fault?" One exception is The Cowshed: Memories Of The Chinese Cultural Revolution, written by Peking University professor Ji Xianlin and published in 1998 in China. In it, Prof Ji admitted to feelings of guilt and shame for having persecuted others although he was later to also face persecution. "We all took turns persecuting each other," he wrote. More recently, in 2013, Beijing-based lawyer Zhang Hongbing, now 63, went public with his having sent his mother to her death. In 1970, he had written a letter to the authorities denouncing his mother for having called Mao a "traitor" and praising the deposed state president Liu Shaoqi, a move that led to her execution. Still haunted by it, he now seeks to overturn the public records of his mother's death and for her tomb to be identified as an immovable cultural relic. For Mr Zhang and for victims and their families, the Cultural Revolution has left wounds for which they have yet to find closure. The lack of literature within China chronicling the brutality of the period, and the lack of public debate, has also meant that young people born after the Cultural Revolution have little idea of what went on and tend to have a romanticised view of it. "Since efforts to confront the Cultural Revolution have so long been stifled, people born since then have no idea what happened. In June 2012, members of a graduating class of Central China Normal University in Wuhan took a graduation photo, all dressed in Red Guard uniforms. To these young people, the Cultural Revolution seems to have been nothing more than one huge party," wrote Beijing-based Chinese writer Yu Hua. The lack of "procedural justice" on the part of the Chinese government has led some former Red Guards to believe they have not done anything wrong, wrote another Chinese writer Xujun Eberlein. One of them, Mr Zhou Rong, is of the view that "both his rebellion against the party bureaucrats and using weapons to defend his beliefs were not only justified, but noble". Some Chinese leftists see that period as a time of ideological purity and economic equality and equate the current anti-corruption campaign with that to remove capitalists during the Cultural Revolution. "No one says it was devoid of merit," leftist scholar Zhang Hongliang of Minzu University told the Financial Times. He said the current rethinking of the Cultural Revolution is part of a search for a solution to China's endemic corruption. 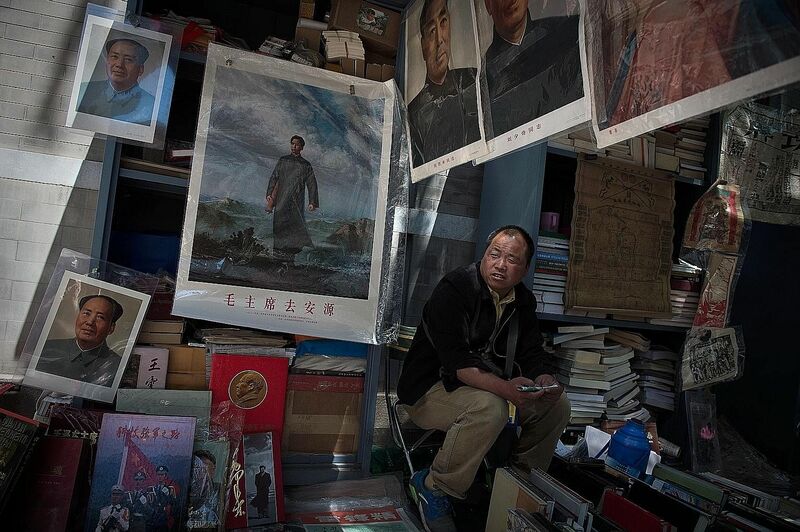 Outside China, some Chinese writers like Australia-based Yang Hengjun are saying that a repeat of the Cultural Revolution is highly likely. "If you asked an average Chinese in the street now if they are prepared to have another Cultural Revolution, I can tell you this: Not only are they prepared to have another revolution, this time they will line up all the corrupt officials and have them executed." It is no wonder that as the 50th anniversary approached, the Communist Party-controlled Global Times published an editorial in March warning groups against creating "a totally chaotic misunderstanding of the Cultural Revolution" and taking to task both those seeking to restore the legacy of the period and those who are seen as too critical of it. To head off a repeat of the mistakes and in order for victims and their families to have closure, it is time the Chinese authorities allowed not just more open debate but also some public accounting of that painful period of China's recent history.